We're proud to partner with shops, restaurants and cafés that share our passion for sustainable practices, love and stewardship for the environment, exceptional quality, and transparency over mass production. 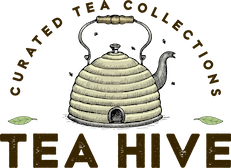 Our Twilight Blend is sold in Tea Hive’s “Pollinator’s Delight” Box. Interested in selling Lauku Tea in your café, restaurant or shop? We’d love to hear from you! Please email us at hello@laukutea.com or fill our the form on our Contact page. If you think Lauku Tea would feel right at home in your favorite café, restaurant or shop, send us your suggestion. We’d love to hear from you! Please email us at hello@laukutea.com.